Anthony C. Kohrs. Hennelly & Grossfeld. Mr. Kohrs practices business litigation, focusing on contract disputes, fraud, securities, trademark infringement, licensing, trade secret misappropriation, and other complex disputes. Mr. Kohrs has tried cases to verdict throughout California. In 2018, he obtained a unanimous defense verdict after first chairing a real estate fraud jury trial in the Los Angeles Superior Court. 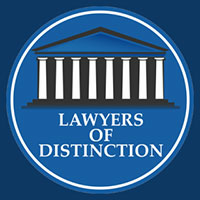 Other victories include a unanimous defense verdict in the Riverside County Superior Court following an eight week toxic tort and breach of contract jury trial resulting in a $900,000 judgment for the defense, a defense verdict in the Los Angeles County Superior Court in a toxic tort jury trial, and a defense verdict following a high profile wrongful death jury trial in the San Diego County Superior Court. Mr. Kohrs also provides outside general counsel services for several businesses, including a publicly traded bio-technology company, on matters including corporate governance, corporate structure, intellectual property issues, and other transactional matters. Mr. Kohrs obtained his JD from Pepperdine University School of Law, his MBA from Pepperdine University Graziadio School of Business and Management on a full academic scholarship, and his B.A. with a double major in economics and history from University of California, Los Angeles. In 2014, Mr. Kohrs was elected to the Board of Directors of the Association of Southern California Defense Counsel. He is admitted to practice in California and the United States District Court for the Central District of California. Mr. Kohrs has been recognized as a Southern California Rising Star by Super Lawyers Magazine (awarded to less than 2.5% of attorneys under 40 years old in Southern California) from 2016-2018. Mr. Kohrs was featured on the December 2017 cover of Verdict Magazine as a rising star in the Southern California legal community.